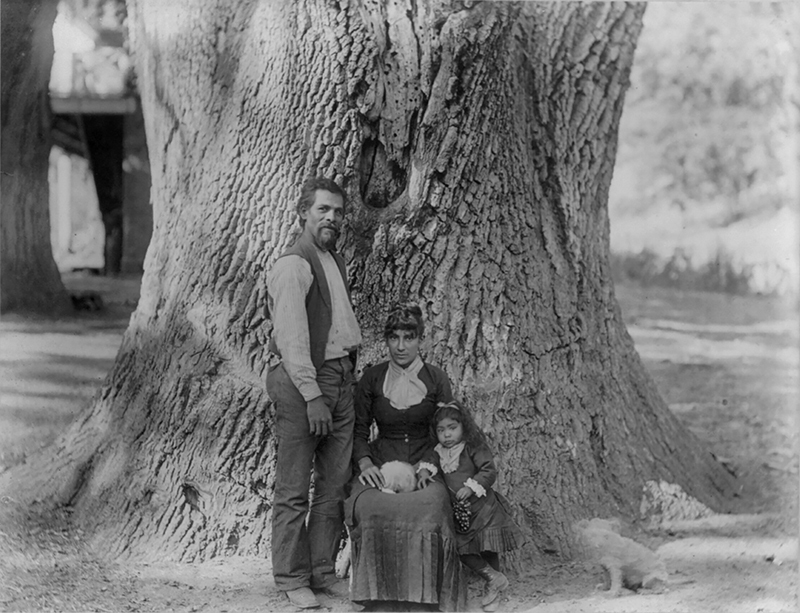 SCVHistory.com LO8804 | Tejon Ranch | Unidentified Indian Man, Woman, Child with Dog in Front of Giant Oak Tree, 1888. An unidentified Indian man, woman and child pose for photographer Carleton E. Watkins in front of a giant oak tree on the Tejon Ranch in 1888. The blur at front-right is a dog. LO8804: 9600 dpi jpeg from digital image, Library of Congress No. cph-3b15827. Copy print on file.